A component of the Calthorpe & Associates-designed Domodedovo Master Plan, the Yuzhnoye Neighborhood is a 425-acre extension to a Moscow suburb. The neighborhood comprises four residential block types based on different combinations of four building types: the tower, the perimeter building, the row house and the corner loft building. 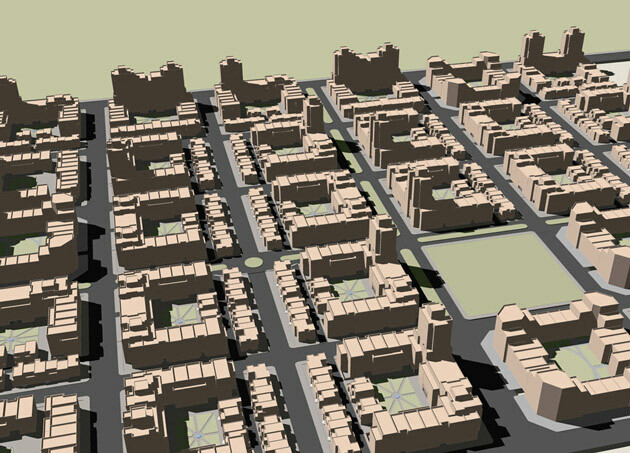 Each block type accommodates approximately 175 units, although block types that include row houses provide an additional 12 units for a total of 187 units per block. By varying the number of stories of the perimeter block, the unit count stays constant despite the configuration of a given block’s building types. The corner loft building accompanies the row house and not only acts as a bookend for this type but also provides frontages to both streets. 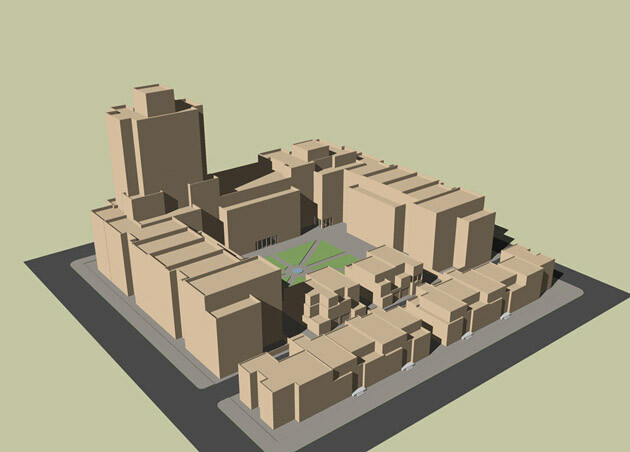 Each tower, perimeter building and corner loft building block type provides one level of semi-subterranean parking for approximately 175 cars; block types that include row houses provide an additional 12 attached, at-grade parking spaces. Moule & Polyzoides worked in conjunction with three other Architecture/planning firms: Solomon E.T.C., Gruzen Samton–Liebman Melting Associated Architects, and MVE & Partners.